Agencies that provide help to those in need. The Kikino Métis Children & Family Services Society believes it is important to have community resources available for our families. We have developed a list of agencies that provide help to those in need. 24hr emergency shelter for women at risk and their children. Support, advocacy and referrals. Community based semi-independent housing program to individuals living with serious and persistent mental health issues. Emergency shelter for anyone who is homeless or at risk and is over 19 yrs of age. 24hr emergency shelter for any male, 19 yrs and older. Basic meals provided. Shelter for at risk women and their children. 24hr shelter, services and programs for women and their children in times of crisis. 24hr long-term residential resource for at risk youth, 12-18 yrs, who are in the care of MCFD. Provides food, clothing, shelter, access to medical and education services. Hampers available for singles, families, and Elders (verification of address required each time) Forms available at front counter, and on board outside hamper room in the basement. Staff fill hampers from 3pm-4pm Mon to Thurs. Maximum six per year, minimum 1 month between hampers. Helps distressed people with emergency food, clothing. Helps distressed people with clothing. Low cost monthly food box filled with local BC grown produce. $15/box. Must register by the first Friday of each month. Assessment, individual and family counselling, group programs, workshops, and education. 12-step support group for those wishing to stop drinking. Daily meetings. Adult and youth substance abuse counselling provided by alcohol and drug counsellors. Provides advocacy, support, education and treatment plans. 12-step support group program for people addicted to any drug, including alcohol and cocaine. 27 day residential treatment program that helps individuals deal with their alcohol and/or drug dependency issues. Provides a safe and supportive environment for youth, male or female aged 13-18yrs, who are currently suffering from the misuse of drugs and/or alcohol and wish to deal with their abuse problem. Safe and supportive environment for individuals withdrawing from alcohol and/or drugs. Voluntary admission without cost. 24hr care provided under medical supervision. Works with Aboriginal patients who come into the hospital. Helps patients understand any medical condition they may have. Provides crisis intervention and assistance with travel arrangements. Provides psychiatric services to adults, 19+. Assessment and counselling for individuals. Promotes good mental health, ensures that proper care and treatment is extended to persons with psychiatric disabilities. Assists adult males, females, youth and children who have experienced sexual abuse and/or sexual assault. Offers many health services. First Nations healing methods are considered in programs. Provides a holistic and culturally sensitive program to Aboriginal and non-Aboriginal people who have been affected by physical, emotional, sexual or spiritual abuse. An advocate is anyone who helps you speak up and be included in the process. Sometimes a problem seems very difficult or feels overwhelming. If you feel this way an advocate might be able to help you. Anyone you choose can be your advocate-family, friends, community representatives. Or, ask the Kikino Métis Children & Family Services Society for names and numbers of people and organizations in your area who can act as an advocate or provide support. You can also call one of the advocates listed below, free of cost. Ensures youth are treated fairly by people providing service to them; for any decision or action that you think is unfair. They can provide an independent review. Staff can provide information and referrals, talk with you about your advocacy needs, and give information about your rights. Your information will be kept confidential. The Advocate’s job is to help adults with developmental disabilities and their families get good quality services. The Advocate can help with service from the Ministry of Children and Family Development, from other Ministries or from service agencies in the community. If your complaint concerns a child who may need protection, call the Helpline for Children. A Social Worker can take action right away to make sure the child is safe. After hours number for accessing local Ministry of Human Resources personnel in an emergency situation when food, shelter, medical transportation or prescription medication is needed. Emergency line for MCFD social worker made available to those in need of immediate assistance and cannot wait for office hours. Confidential, anonymous, non-judgmental peer counselling. Trained volunteers, under 21, provide professional phone line counselling and referrals. Trained volunteers provide para-professional phone line counselling. Confidential, empathetic listening available to people facing difficulties. Walk-in counselling during business hours. Qualified professionals will help children and families with their problems, ensuring that children are safe and looked after. Respond to child protection reports to ensure that children are protected from neglect and abuse. Various programs primarily for women and youth providing information, referrals, advocacy, education and networking. Welcomes all women who have questions or concerns regarding their health and wellness. Provides accurate, unbiased information and referrals and confidential support. Promotes the health (physically, mentally, emotionally, and spiritually) and well-being of the Métis community by honouring and supporting the importance of a healthy family environment in the delivery of holistic programs and services. Multi-service organization with a variety of programs meant to address the need for education, personal support, emotional and spiritual well-being, economic development, vocational needs and social services. 24hr emergency shelter for any male 19+ yrs. Basic meals provided. Housing for seniors who live fairly independently. Provide basic needs, help with shopping, food preparation, cooking, bathing and social inter-action. Wheelchair accessible. 24hr supervision. Home has children and accepts pets. Assists with living arrangements; maintains housing lists, advocacy, referrals and landlord/tenant issues. Services available to everyone. Support, information and referrals for victims of crimes and trauma. Help with travel arrangements if medical need. Family Justice Centers operate across BC to provide services to British Columbians going though separation or divorce. Each center is staffed by accredited Family Justice Counsellors, specially trained to help families with child custody, access, guardianship, and support issues. They can help parents resolve their disagreements without going to court. They provide short-term counseling, emergency and community referrals and other services. There is no fee for this service. If you have a legal problem and can't afford a lawyer, LSS can help. Join the thousands who use the self-help information on our Family Law in BC website or who read our free legal information publications. You may also qualify for some legal advice from a lawyer or even for a lawyer to take your case. The purpose of the Native Courtworker program is to facilitate and enhance access to justice by assisting aboriginal people involved in the criminal justice system to obtain fair, just, equitable and culturally sensitive treatment. There are a wide range of community agencies in Prince George that provide help to those in need.  Founded in 2003, the Kikino Métis Children and Family Services Society is a non-profit organization providing direct access to culturally specific support and advocacy services for people of Métis heritage. Our programs are designed to nourish the dignity and integrity of the family, to build community spirit and to affirm our Métis cultural identity.